Oh hell no, Elton, not you too. 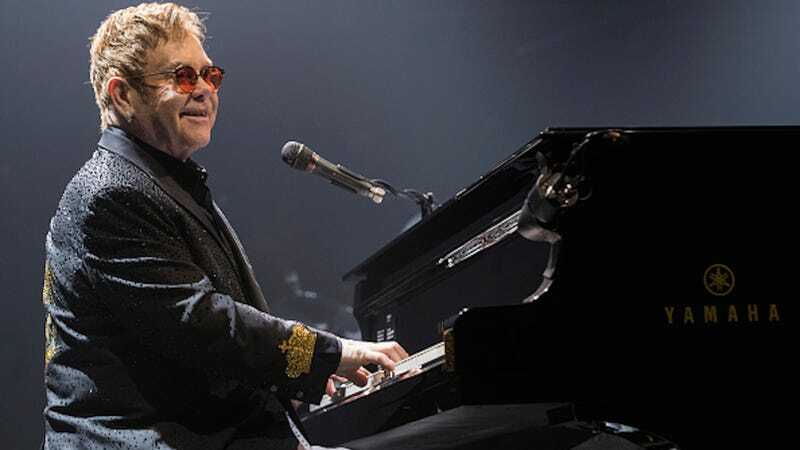 Last week the Rocket Man contracted a “rare and potentially deadly” bacterial infection while on tour in South America. But thankfully, he is on the mend and should make a full recovery. According to People, the singer and pianist became gravely ill on a flight traveling from Santiago, Chile to the United Kingdom. Upon arrival, he was immediately admitted to the hospital for treatment. After a long stay, including two nights in the intensive care unit, he was discharged on Saturday, April 22. Now out of danger, John can finish his recovery at home. As a consequence of this unforeseen illness, John must cancel the April-May leg of his Las Vegas residency. He will also be unable to perform on May 6 in Bakersfield, California. On June 3, he will recommence touring with a show in Twickenham, England. We’re all grateful too! But while it seems the crisis is no more, it never hurts to summon some positive energy. Let’s start an Elton playlist in the comments, shall we? I’ll begin.